St+art Foundation organizes the St+art Festival every year, which is an urban arts festivals that brings together some of the most prominent Indian and International artists, who transform city spaces through their art interventions. Having already successfully completed 6 projects across 4 cities, this creative team of like-minded individuals is back this year in Mumbai for its 2nd edition, to leave their mark on the city of dreams, quite literally! Legendary Brazilian street artist Eduardo Kobra is going to completely transform the façade of Churchgate station with a mural of one of the most iconic personalities in Indian history – Mahatma Gandhi! This huge mural is visible from all around Churchgate station so go and check it out. Mahim East is a gateway into Asia’s biggest slum – Dharavi. Little does one know that inspite of being a slum, Dharavi houses some of the most thriving businesses worth 1000s of crores and exports produce all over the word. This project is aimed at completely transforming the image of Dharavi, by creating India’s second open air walk through art district, after Lodhi art district in Delhi. 25+ Indian and International artists will come together, along with 5 Indian design studios, to transform the stretch from Mahim Station to 60 feet road. We are most excited for the walking tours, movie screening and jam sessions that will be organized here to celebrate this marriage of art and culture. Sassoon Dock is one of the oldest ports of Mumbai and most of the city’s fish come from here, however we often ignore the role this fisherman’s community plays in the history of Mumbai. The Sassoon Dock Art Project aims to create a temporary cultural hub in collaboration with the local fishing community, with site-specific installations, murals and audio-visual experiences that will take over the entire dockland yard. Get ready to enjoy ‘Weekends At Sassoon’ with live gigs, workshops and walking tours. Inside Out Project gets to Mumbai French Artist JR’s global project of bringing to fore invisible people and communities through huge photo pasteups. The city will be covered in interesting portraits of seemingly common everyday people! We can’t wait to see where these images crop up in Mumbai. Any guesses? 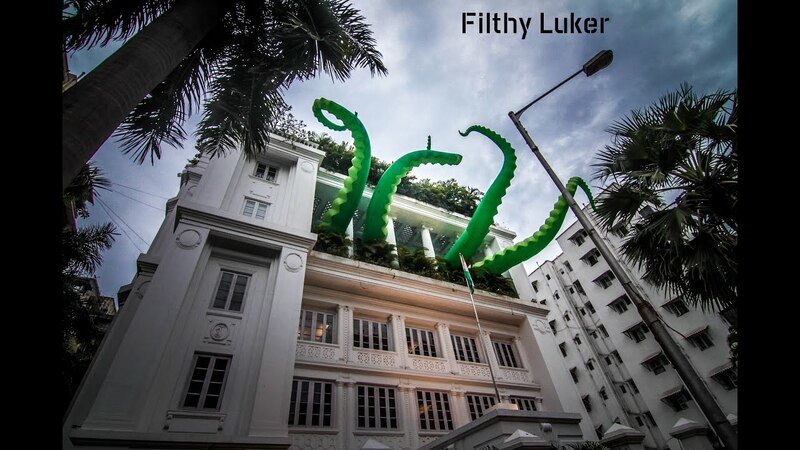 How can we forget the giant tentacles emanating from the iconic Jindal Mansion in 2014? It almost looked like a scene out of an alien-invasion movie! This year too, the Jindal Mansion will be taken over by another art intervention. What will it be? Our guess is only as good as your’s. The festival has already begun and spans till 30th December, 2017 which means you have enough time to catch all these amazing projects! Which one are you most excited to visit? Drop us a comment and let us know!